I am fascinated by the combination of body fat and thick waxy hair. Nostrils close like fleshy trapdoors, the feet look like huge hands. 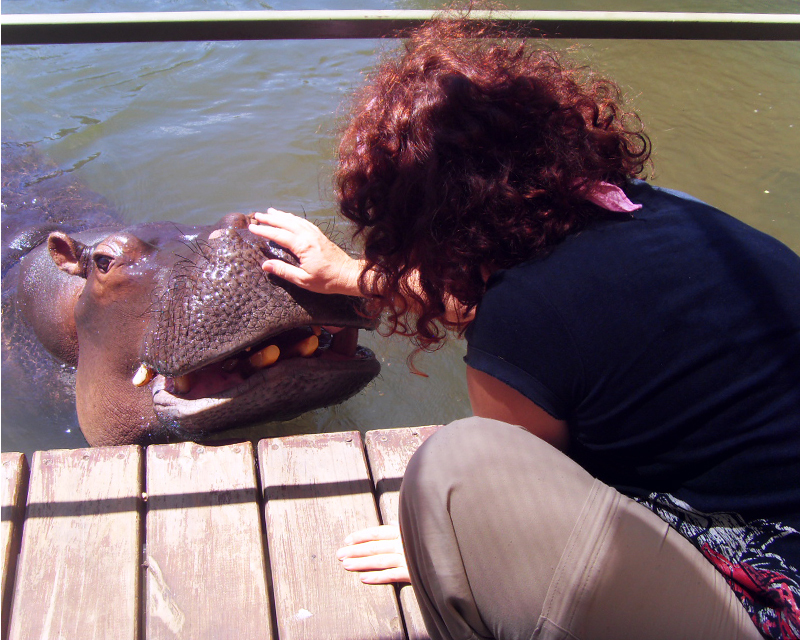 I am talking hippos, not men. 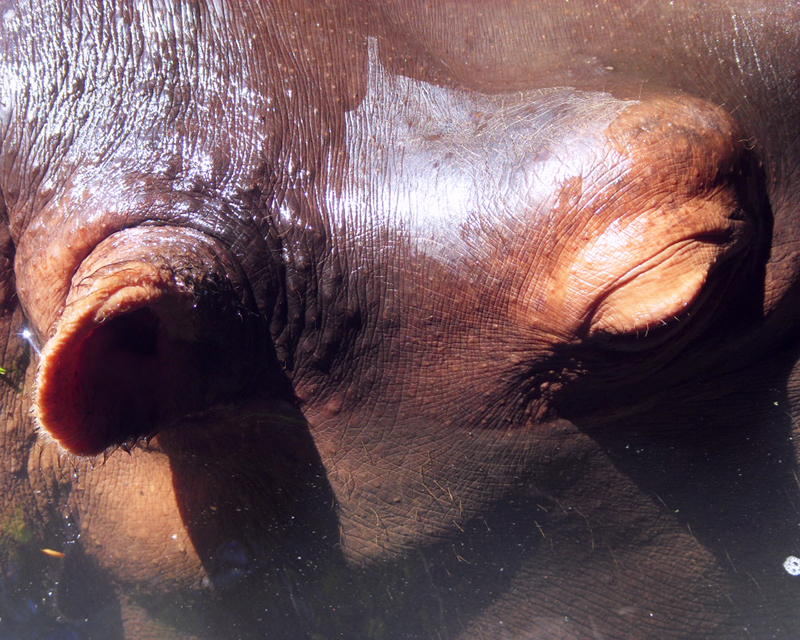 Other aspects of the physical appearance of a hippo’s body intrigue me: bulging eyes and pink ears, becoming see-through red as the sun sets behind the dome-like bodies. I am strangely intrigued by the huge yellow teeth when they are yawning and the bouncy thigh-rubbing walk as if trying to be elegant in slippers. 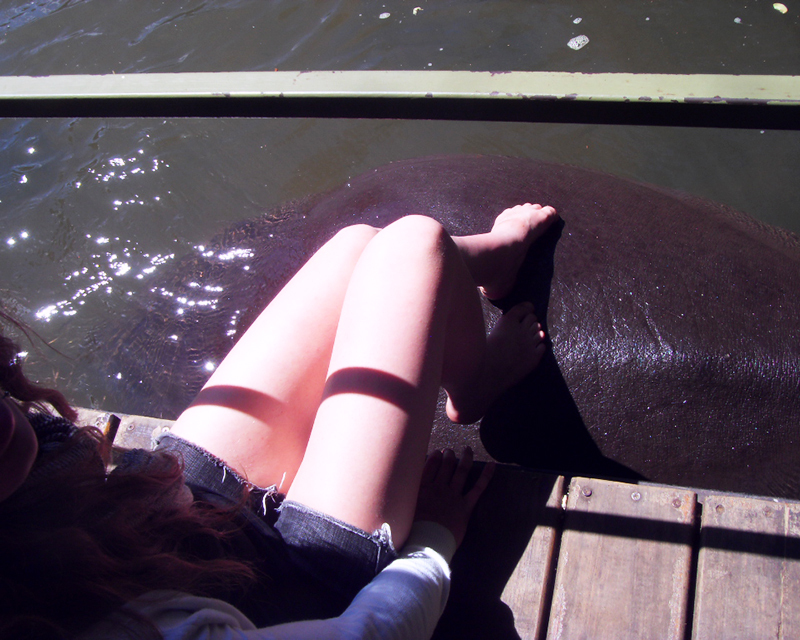 I love hippos. They might be the deadliest mammal in Africa, killing more people than sharks and lions, but I adore their huge pink-grey orb-like figures and ominously laidback attitude of their life in water. 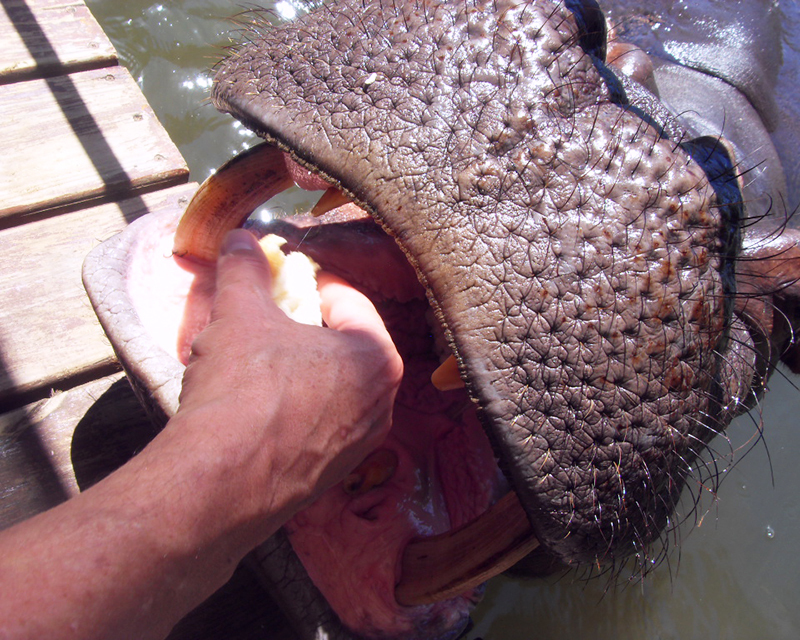 On a farm near Hoedspruit on the edge of the Kruger National Park you can for R75, feed and touch a live hippo. 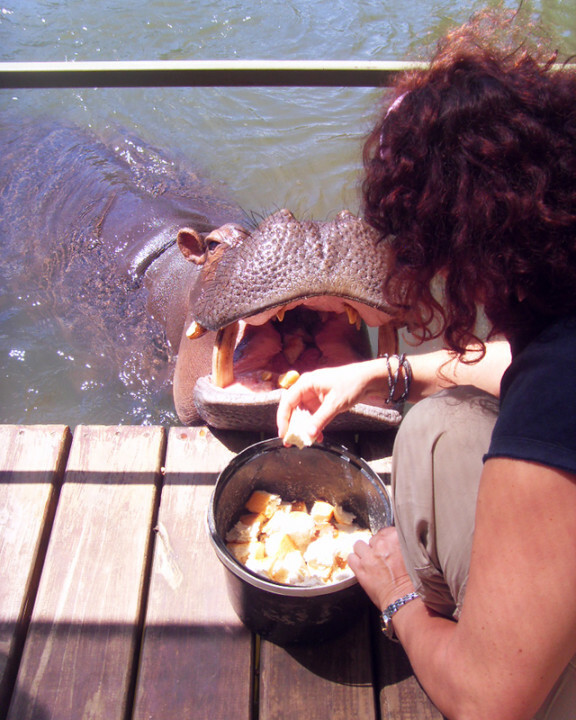 Jessica, the tame hippopotamus is cared for by a retired, barefoot big game hunter named Tonie Joubert and his aesthetician wife. She was orphaned after a storm and he took her in. She is famous. She is huge. Jessica, not the wife. Both girls get on famously as a TV clip shows the red-lipsticked wife swimming with the huge creature. ‘She is like a daughter to me, my child,’ she croons as the documentary shows her massaging the huge beast with baby oil. 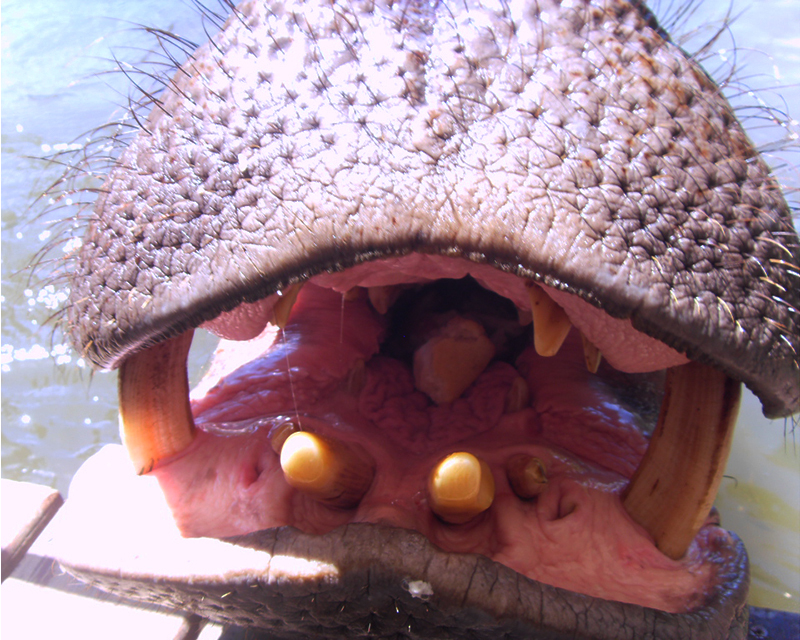 She then covers the hippo with a pink duvet and places a pink pillow under her fat hairy chin. The clip then shows one of the couple’s bullterriers sleeping on top of Jessica. She has crushed some furniture, but has not yet shown any aggressive behaviour towards her ‘parents’ or any visitor to the farm. 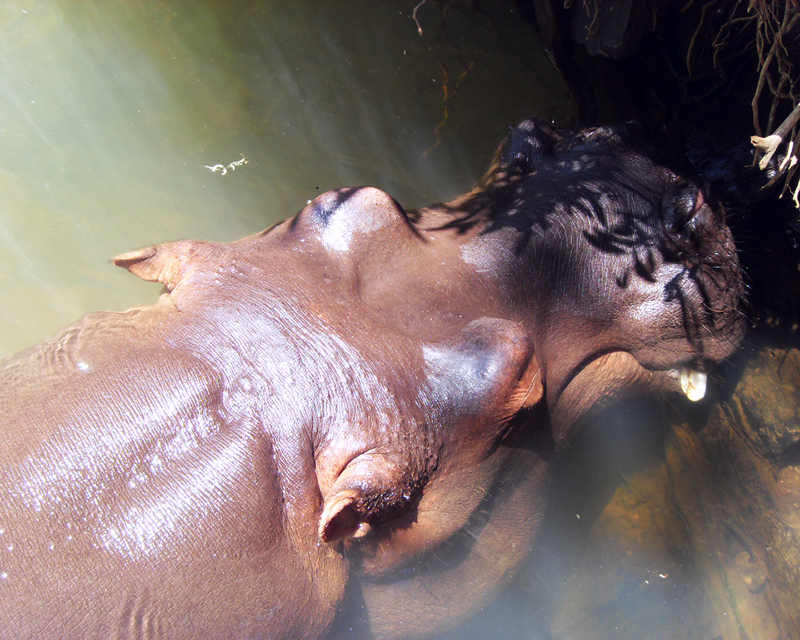 However, Jessica sometimes disappears to join a pod of wild hippos further along the stream and she is sometimes visited by a male hippo. Jessica is not yet ready for love and Tonie remains reserved about what will happen to his girl once she wants a mate. Everyone knows love can drive you wild. With watery blue eyes and a weathered worn look Tonie told us about his days as a game ranger and hunter in Zambia. ‘I have killed more than 1000 hippos when I was a hunter, but I only kill animals when they go hungry. ‘A changed man now’, says Shirley Joubert of her husband. “I never had a relationship like this with any animal. This bond with Jessica is special,” admits Tonie. 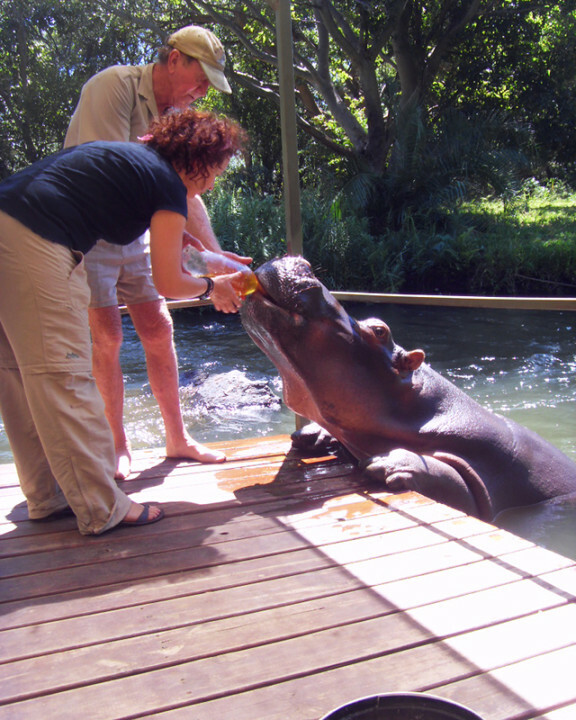 Our interaction with Jessica the hippo starts with a short DVD of how Jessica washed up on their farm after heavy rains. She was just one day old, the umbilical cord still attached. It shows Shirley frolicking with Jessica in the small river that runs by the farmhouse. While the laptop screen flickers with the happy girls in the water, a skinny black guy with huge feet prepares Jessica’s drink of choice. 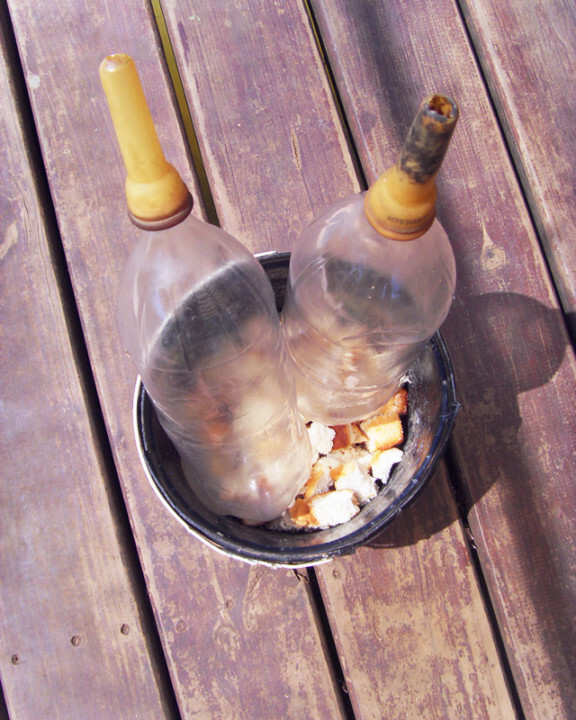 Two 2l Coke bottles are filled with weak coffee – two teaspoons for four litres. He attaches a teat. A loaf of bread is torn in big chunks. Each guest now gets the chance to place a piece in Jessica’s mouth. Touch her head first so that she knows you have something for her, guides Tonie. She opens wide. I stare at the waxy moustache, the black hair sticking out from her fat face and chin. I rub the huge nose and pull at one of the hair. It is hard and thick. An unfortunate situation for a girl. She munches the chunk of bread I toss into her mouth. The pink cavern opens again but I must make way for the next guest. Touch her head first, guides Tonie again. And so Jessica opens and closes, opens and closes. After we have all fed her, she glides back into the water, but Tonie calls her and she moves to the river bank. Sit, says Tonie. The guest sits. Massage, says Tonie. The guest massages. With bare feet the guest rubs Jessica’s back while her fat eyes close in ecstasy. Hippos can not float or swim. They stand in shallow water or walk along the riverbed, surfacing for air. And so Jessica stands. For weak coffee, bread and a back rub. The happy family has since been joined by another (orphaned?) hippopotamus, Richie. Tonie was adamant that the youngster not be filmed as there was some kind of contractual agreement with National Geographic.